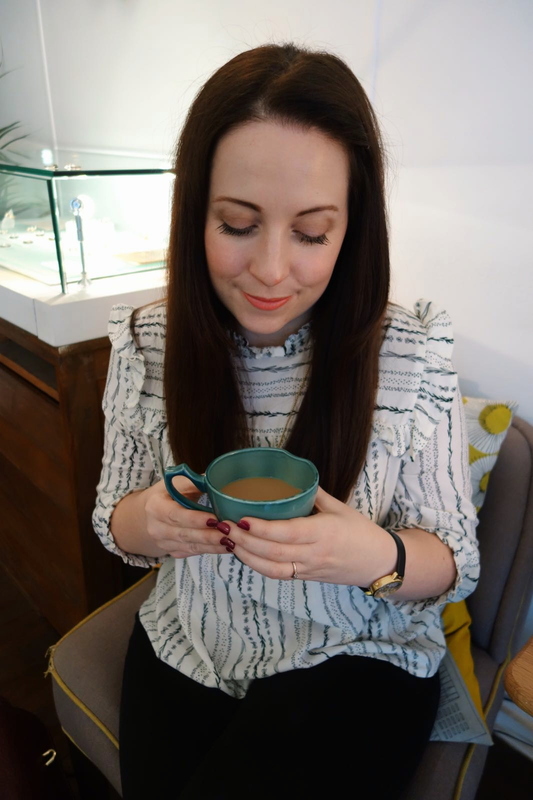 I’ve been a reader of Charlotte’s blog, Charity Shop Gold, since the very beginning. Call it nosey, or blame it on my love of thrift, but I always enjoy reading all about her finds. One of the charity shops Charlotte mentions the most is Mustard Tree and I’m always in awe of what she finds there. After mentioning the charity in her post about the ethics of selling charity shop finds, it reminded me to visit the next time I was in Manchester. Thankfully, I didn’t have long to wait. After an early finish on Tuesday, John and I hopped on the bus to Manchester. On entering the Oldham Street branch, you’re presented with a hub of activity: employees chatting among themselves as they restock the rails, customers browsing, members of the community catching up. The large, shop floor of the warehouse is divided into sections for selling furniture, clothing and bric-a-brac. In the clothing section, the clothes are separated into two sections: gifted and high street. While the high street clothes are very well priced (jackets for £3, dresses for £2) it’s the gifted section that interested me the most. As part of their sale, for £2.50 you can fill a bag with items from the gifted side. As this was my first visit, I was unsure of how much would fit into an undefined bag. In addition, I didn’t want to appear greedy, or take things that I didn’t need or wouldn’t use. It’s hard because you want to support the work of this valuable charity, yet you don’t want to take something if someone of greater need could make use of it. Browsing the dress rail, I didn’t find any dresses that appealed to me (I later found out from our WhatsApp group chat that Charlotte had been in the day before and scored some great finds). The knitwear rail yielded the most results for me. My first find was a khaki fisherman style jumper, originally from Warehouse. Then I happened to find a black cardigan: not the most exciting find, but something I’ve been looking for. With two items, I knew my bag wouldn’t be full but felt £1.25 was well worth it for each. Then I spied a beautiful teal jumper from F&F. With three items, I headed to the till. 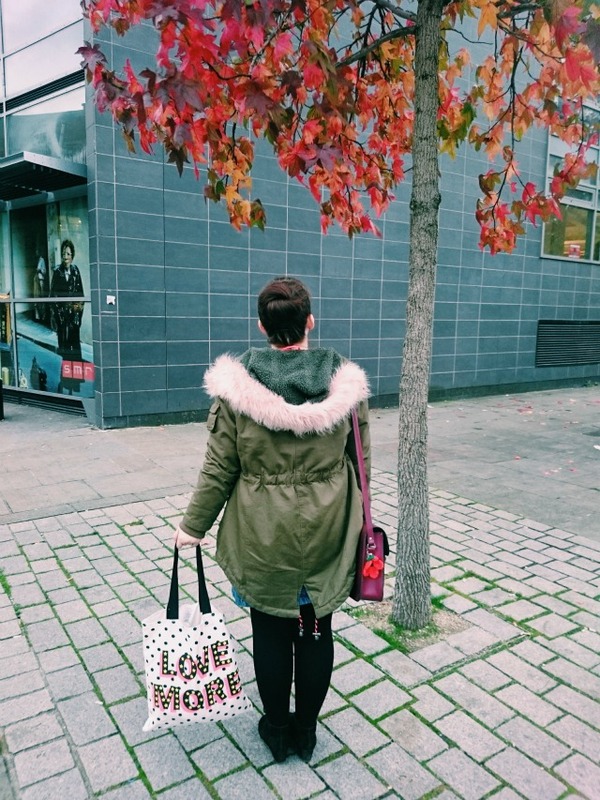 Ironically, I’d brought my ‘Love More’ tote bag from this outfit post. The aptness of the bag’s message wasn’t lost on me, nor John, as I placed my items in my bag and handed over my cash. I’m sure I could have easily fit more in my bag, but I’m happy with my finds and will be blogging about them soon in my ‘What I Thrifted’ series.